I always had a real liking for the The Small Faces. In many ways they were the archetypal sixties Mod band. Unlike some bands of that era who followed the trend the group were Mods before the group was formed and carried their music, the clothes they wore and the attitude and sensibilities into the band. They were clearly authentic and their fans were aware of that. I was reminded of them after watching a pre-recorded TV documentary about them recently. Is some ways it was sad to see a still-chirpy Steve Marriot being interviewed before his tragic death in a house fire in 1991 and bassist Ronnie Lane talking prior to his final capitulation to a crippling Multiple Sclerosis condition in 1997, some 16 years after his illness was diagnosed. The effervescence of the two and keyboard player Ian McLagan, who had replaced Jimmy Winston due to his ‘ego problems’ and drummer Kenney Jones shone through brightly and made the viewer understand their success and enduring appeal. They had fun playing their music, enjoyed their fame, and it showed. The documentary was interesting for many reasons not least because it showcased how quickly fashions changed at that time of day. From a period of around ’65-’68 it showed the Small Faces appearing on the scene as the ultimate Mods, in their fashions and in some of their R & B-influenced pop. Like many other bands they began to experiment with music, finally recording Ogden’s Nut Gone Flake which reflects its own era of psychedelia and concept albums. Even with that, the band’s charm and in particular Stevie and Ronnie’s vaudevillian nature are obvious and make the music and performance quirky, entertaining and interesting. In 1965 their first single What’cha Gonna Do About It with it’s insistent R & B riff reached a chart position of 14. A string of 45’s followed including I’ve Got Mine, Sha La La La Lee, All or Nothing, Here Come’s The Nice, Itchycoo Park, Tin Soldier, Lazy Sunday Afternoon and The Universal. 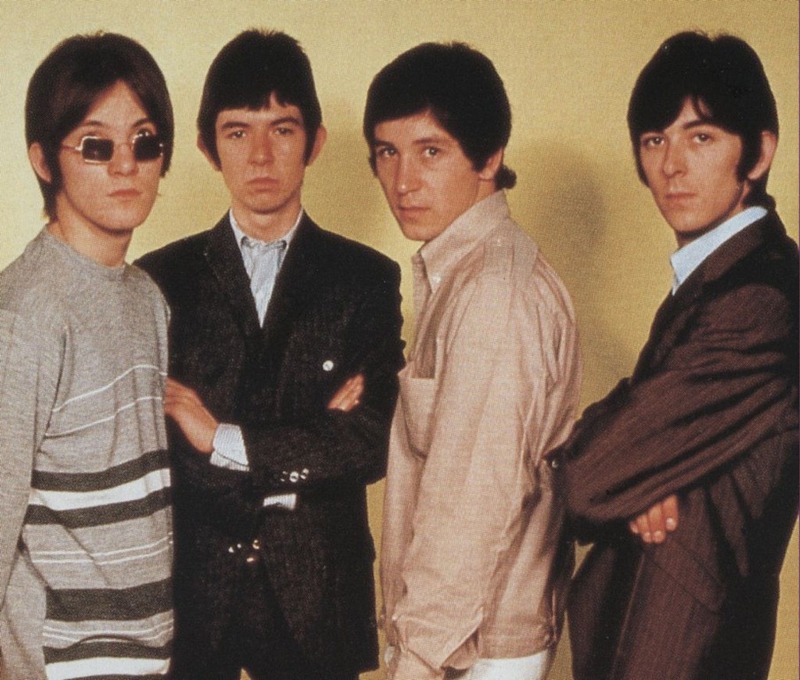 The Small Faces always had great belief in their own music and resentment grew when they were forced at times to release more commercial pop hits rather than their own material which had overtones of experimentalism and change. A series of studio albums were produced with their ‘masterpiece’ Ogden’s Nut Gone Flake seeing light of day in 1968. Itchycoo Park was a departure with phasing and other new sounds and became a big hit which is still regularly given a radio airing. Lazy Sunday with it’s music hall overtones is still familiar to many – even those who have never heard of the Small Faces. The band, as with many other acts in that era, did not have full control or choice over which songs they released due to their Svengalian manager Don Arden. They failed to blaze a trail to US success unlike banks like the The Who due to mismanagement and a minor drugs bust on McLagan for hash effectively stopping them entering the States. In retrospect, the band members have said that as the complexities of the Ogden’s Nut Gone Flake were so difficult to reproduce live it ultimately proved to be their demise. Kenney Jones was quoted as saying that he would like to have seen the band ‘stick together’ through their difficulties as he had witnessed the The Who do. He felt that if they could have taken Ogden’s on the road they could have gone on to greater and ‘heavier’ things. As it happened, Steve Marriot tired of playing ‘pop’ and after his unsuccessful bid to bring guitarist Peter Frampton in to the band left to join the successful, hard rocking Humble Pie. It’s a shame to think what might have been because in Steve Marriot The Small Faces had one of the finest white soul voices of all. In Ronnie, Kenney and Ian they had fabulous, top-notch musicians too. They had great song writing and top of all that they had a live presence in their prime that was matched by very few. Above all they had style and individuality. One can only say that with their disbandment came The Faces with Rod Stewart and Ronnie Wood,, another great but totally different band. It all turned out right in the end, as they say, I suppose. Hi Stu, have read and enjoyed your interesting critique of ‘The Small Faces’; you are most admirable in that you have taken your thoughts, feelings on this unique group of the 60’s and affirmed them in writing. Such a shame that Steve Marriott, so immensely talented should have come to such a tragic end; and yet there are people out there – you and I included – that will continue to remember both his – and Ronnie’s – vital,creative being. Have you viewed the colour video version of ‘Tin Soldier’ with PP Arnold? I love this, it’s so exceptionally Mod. Hi Stu,can’t add much to your write up. Ironic,the fact that Ian blocked a chance for the Small Faces in the U.S. He now lives here,and doing well with his music.Such is life,still a nice guy to talk with about music. Reading about their (mis)management (did anyone other than the Beatles have a decent manager in the 60s? ), I was amused by Don Arden’s habit of madly trying to cash in on the band’s popularity in case it suddenly evaporated by booking them to play up to THREE gigs in a single night! Also they had the misfortune to quit Decca (because of their habit of putting out musically unrepresentative singles without the band’s permission) and sign with Andrew Loog Oldham’s label Immediate, which was probably short for ‘Immediate Bankruptcy’. I think the label lasted about two years and the Small Faces were the only band who ever made it any money, most of which went to pay for other rubbish bands and Oldham’s groupies. Shades of Factory and New Order, whose record sales basically subsidised the gigantic loss making enterprise that was the Hacienda club. Fraser – watching the part of the documentary focusing on Ogden’s was a bit difficult. I think the band struggled with understanding exactly what they wanted to be at that time and even in the context of the general trends in music in that era it at times, looked a bit self-indulgent. It’s hard to say what they might have become but I don’t think Steve Marriot was going to hang around to find out as he seemed unfulfilled by the Small Faces and determined to find pastures new when he couldn’t change things to his liking (by adding an extra guitarist in Peter Frampton). For what it’s worth, I’m glad he didn’t get his wish because the Small Faces will always eternally be a four piece and so it should remain. The record company jumped in quickly on their demise with the Autumn Stone compilation. Christine – thanks for your kind words. Steve Marriot was exceptionally talented as a singer, front man and writer –the rest of the band were definitely y very talented musicians. Mudgie – thanks for dropping by! It’s good to hear that Mac is still doing well and happy playing music. Such a brilliant keyboard player. Fraser – I think even the Beatles had their issues when Klein came along! Interesting to read about Immediate who I knew little about. Sounds like a vehicle for Loog Oldham’s ego, not dissimilar to Tony Wilson and Rob Gretton’s enterprise(s) . When you think about how regularly some bands were pushed out on stage in those days it becomes easier to appreciate how well they polished their live performances. On Autumn Stone there are three live tracks which are excellent, but you can hear the insane hysterical screaming in the background all the way through. The original owner of the album I bought thoughtfully glued some contemporary newspaper reviews onto the inner sleeve and they almost all describe the Small Faces as a ‘teenybobber’ band. That may be just journalistic laziness, but it also illustrates how the band were marketed, like many others at the time as ‘the next Beatles’ or similar in a desperate attempt to work up some hype and grab a slice of the sales. Of course, it was the impossibility and pointlessness of playing live when you couldn’t even hear yourself over the screaming that led the Beatles to give up touring and why there are hardly any live recordings of such a massive group. Thanks Fraser, that’s a really good article and it’s difficult to disagree with any of it. I remember Ronnie saying that Steve Marriot was insecure about his guitar playing and that’s the reason he wanted to bring Frampton into the band and this article confirms that. The teenybopper image was something that did seem to dog them throughout their career as stated. I’m sure a lot of that was also due to the way Steve looked and their young age. It’s sobering to undersand that he was only 21 years old when Ogden’s – in effect their swansong – was released. Looking back at those times it seems clear that the Small Faces had their ‘time’ and that was that. Music was changing and the confines of the band and their history didn’t allow for further progress in keeping up with trends. They didn’t take their ‘masterpiece’ on tour but, as with many milestones in rock history this was just how it should have been. Music gained two great bands out of the ashes of the Small Faces in my humble opinion. Hi Stu, quite a response to your write up on ‘The Small Faces’. Have read all of the comments. A bit of trivia for you (which you may know already): apparently Steve Marriott auditioned for a place within ‘The Rolling Stones’ – Keith Richard was keen he should join – but when Mick Jagger saw just how good Marriott was, he decided against him joining – probably thought Marriott would steal his thunder! The second side contains the story of Happiness Stan and his quest to find the moon, interlinked by forgotten master of gobbledegook, Stanley Unwin. Here the songs are considerably more embellished and varied in texture; from the strange faux-folksy “Mad John” to the more rocking “Rollin’ Over”. The latter featured a brass section while the rest included strings, harps and all the usual trappings expected of bands who wished to signal their serious musical intent. But somehow at the heart of it all was the Small Faces’ muscular approach that makes Ogden’s certainly the least fey of all English psychedelic classics. This was to be the template for both Marriots’ later band Humble Pie and Lane, Ian Maclagan and Kenney Jones’ next career move with Rod Stewart and Ronnie Wood in the Faces.